Seeker Fishing Rods and PENN Fishing reels—thank you! Happy anglers. Ready to fish. This is "Greg the Hammer Valentine!" Terry Onishi and Jen greet anglers, and change their identity for the trip! Signed by our Capt Art. Lines away and ready to fish! 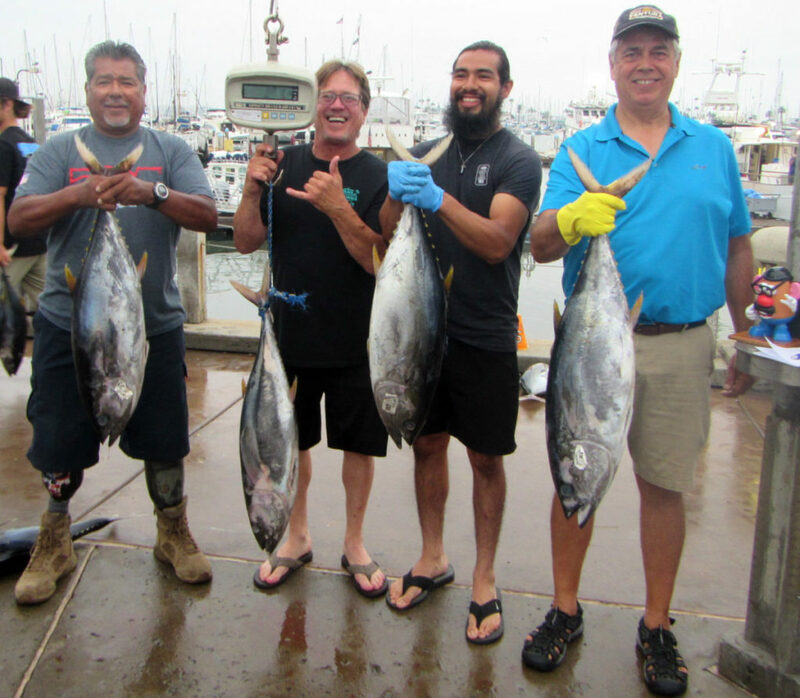 Don R shares some aloha with a tuna. Matthew A used a new outfit and had some luck! No luau is complete without hula. Phil is such a good sport. Nice wings Phil. Say Aloha to our hula crew.